The one we’ve been waiting for is finally here! 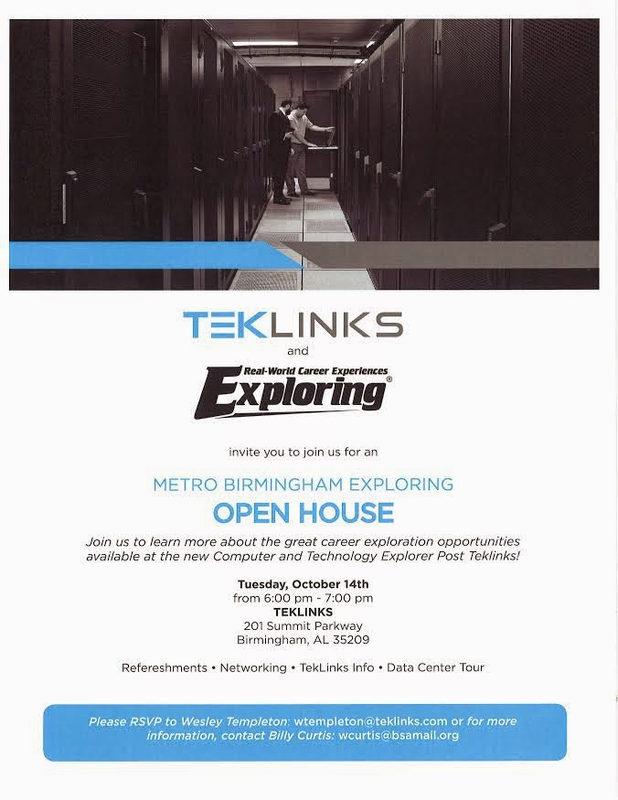 The Technology and Computer Science Explorer Post with Teklinks is having their kick-off Open House next Tuesday, October 14th. I am very excited about this Post – we’ve been working on this partnership with Teklinks for about 3 years, trying to find the right combination of timing and leadership, and now everything is in place and ready to go! We think that this program will be very valuable to young people interested in computer networking, technology, programming, and related career fields.